Just the act of flying in the military can be a dangerous job, especially during a night carrier landing in rain and fog. When combat missions are added to the mix, casualties are a certainty and not all the casualties are on the battlefield. I was one of the lucky ones. I came back home relatively unscarred physically or emotionally. However, not all of my fellow airmen were so fortunate. For those who admire America's warriors, John Fischer has it just right in Escape from Korea. This accurate chronicle of courage, perseverance and daring under the most adverse circumstances is absolutely riveting. 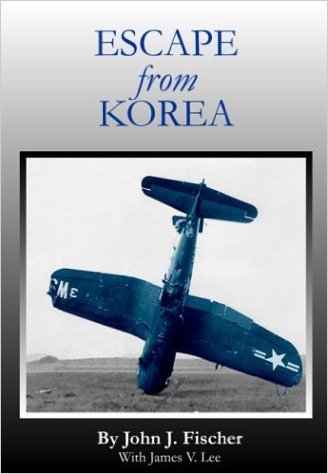 John Fischer's Escape From Korea held my attention throughout. It was difficult to put down until finished. Having served with KMAAG some twelve years later, I am very familiar with the terrain of Korea and of course, the smell of the crop fields. How pilots survived the crash and the march through this almost unflyable country has to be God's will. Fischer's details about his trek through Korea were so vivid that it made me feel like I was there again. This is a story made for a movie.